You would think with all the UFOs I have I would sew on one of them? Nope. I an starting a charity quilt. It is a simple pattern. I picked up some free sample fabric from my guild during the last meeting. 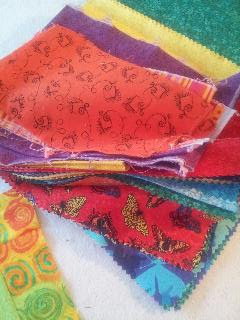 It was a pile of bright butterfly fabric. This is the block I am making and there is the pile of fabrics. 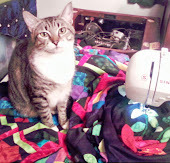 I will see how much is left over when I finish the quilt. 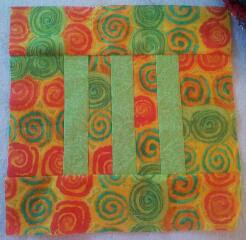 I am only making a youth quilt about 45 x 60. I will only need 30 blocks. I need to work on some of my own stuff too. I am definitely a starter and sometime finisher.